Prior to the dental procedure, we will conduct blood tests to make sure that your pet is healthy enough to receive anesthesia, and to determine the specific amount necessary for your pet. 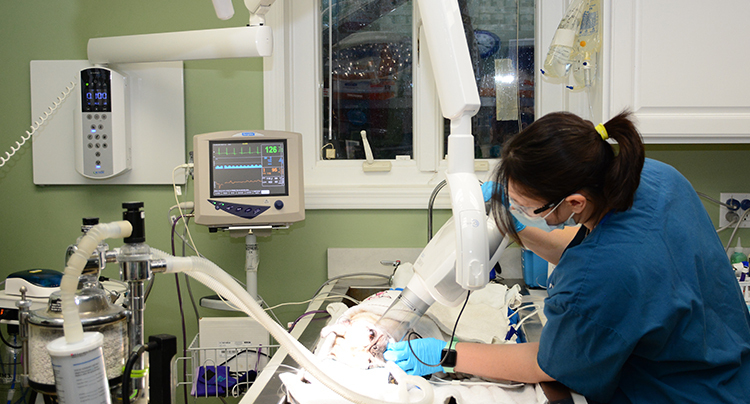 During the procedure, we will place your pet under anesthesia to perform the dental exam and cleaning. Our facility uses safe, state-of-the-art monitoring techniques for every dental procedure. 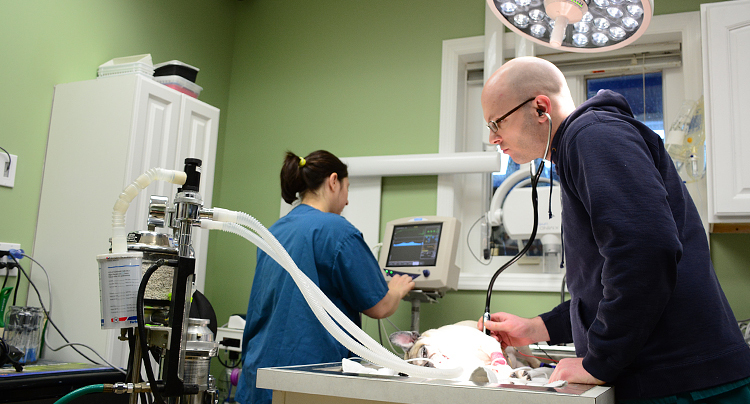 For your pet's safety, his or her vital signs are tracked by a trained technician using a digital monitoring device during the entire course of the procedure.  After the procedure, we will closely monitor your pet to ensure there is a smooth recovery. Our veterinarians also recommend daily at-home dental care to prevent the build up of plaque on your pet’s teeth. This bacteria, if not removed, hardens to form calculus, and can lead to oral diseases such as gingivitis and periodontitis. Infection at this advanced stage can spread to other parts of the body and cause life-threatening conditions, including major organ failure. 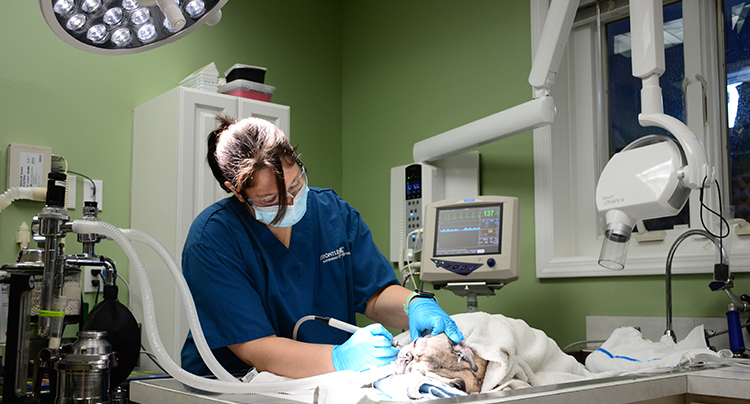 Our staff can show you how to brush your pet’s teeth at home, and can answer any dental care questions you may have.